Summer is in full swing and I am loving all that my farmer’s market has to offer. Watermelon is my weakness. I just can’t eat enough. While I love it plain right off the rind, I love experimenting with different ways to eat it. 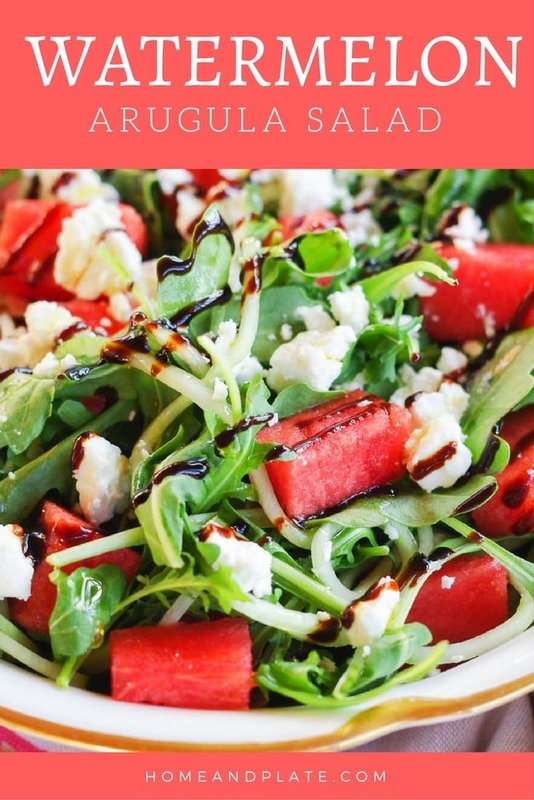 My arugula salad with watermelon and feta is a simple creation that can be ready in under 15 minutes. My neighbors are Greek and always have the best feta cheese in their fridge. Packed in water, this salty cheese is a must in this salad. 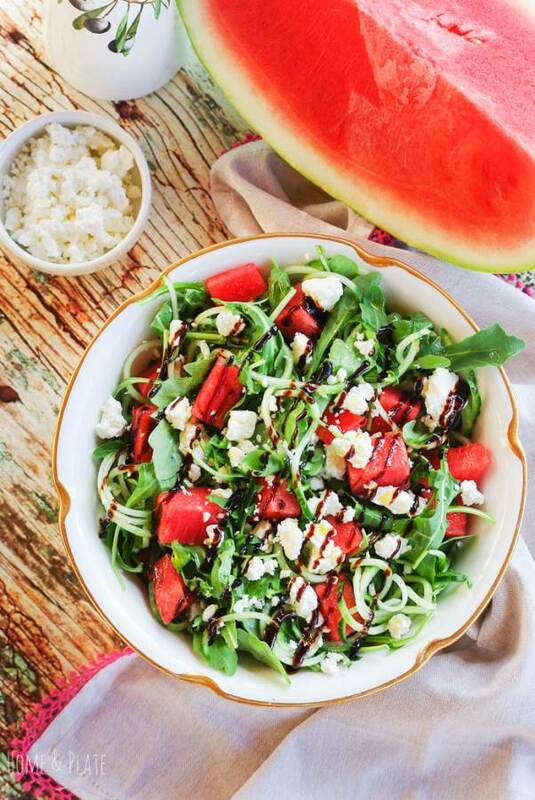 If you are afraid to taste watermelon and feta together -don’t be! The flavor is amazing. For this salad, I spiralized the cucumber instead of chopping it. Now that’s a pretty salad! 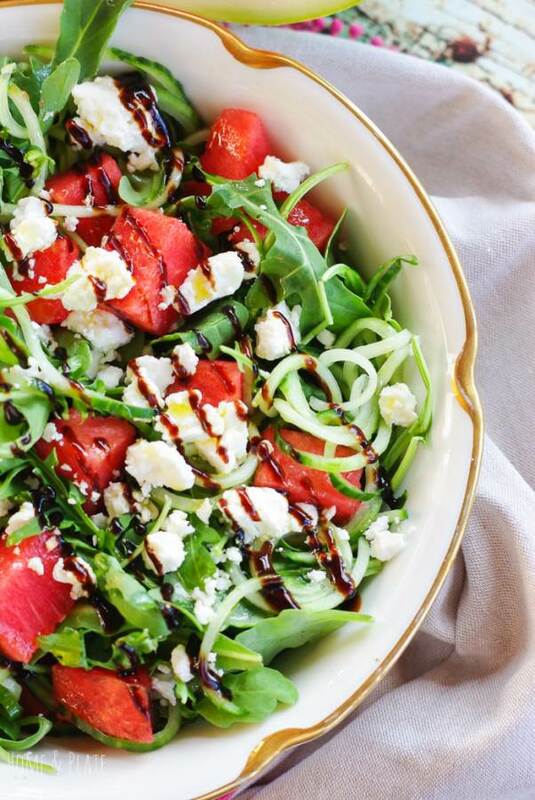 While you can use any kind of greens, spicy tender arugula leaves contradict the sweet flavor of the watermelon and syrupy taste of the balsamic glaze. Yes. That is all you need to dress this salad. The watermelon and cucumber provide enough juice that no oil is necessary. You can find balsamic glaze in the same spot as vinegar at your local grocery store. 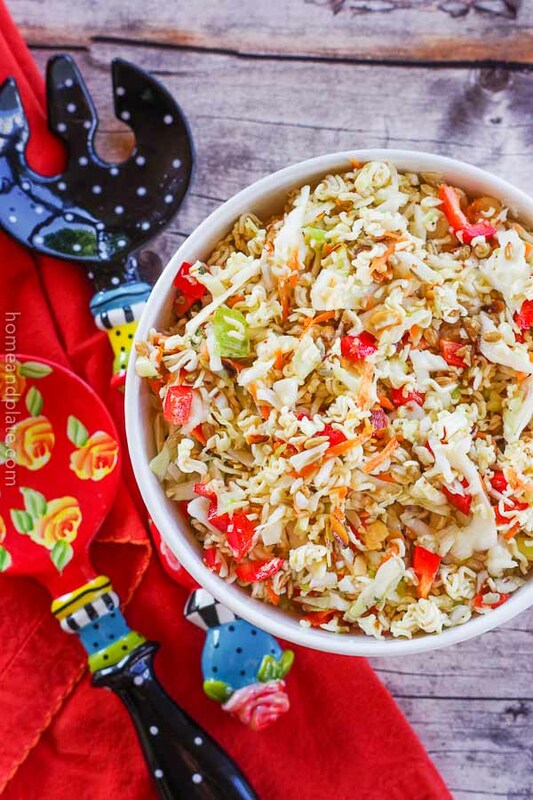 Love the salty and sweet flavors in this salad? 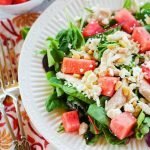 Be sure to try my Watermelon Chicken Salad with Pine Nuts and Feta and my Watermelon, Prosciutto & Pecorino Romano Skewers. 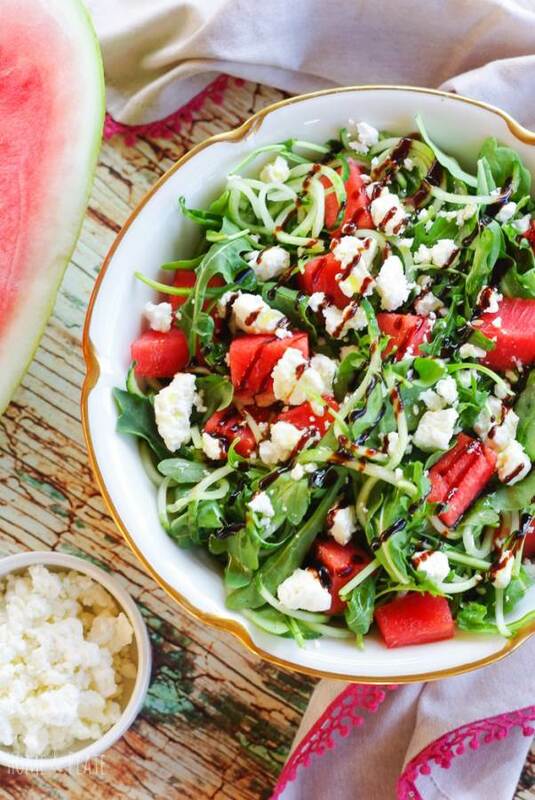 WANT TO TRY THIS WATERMELON ARUGULA SALAD? 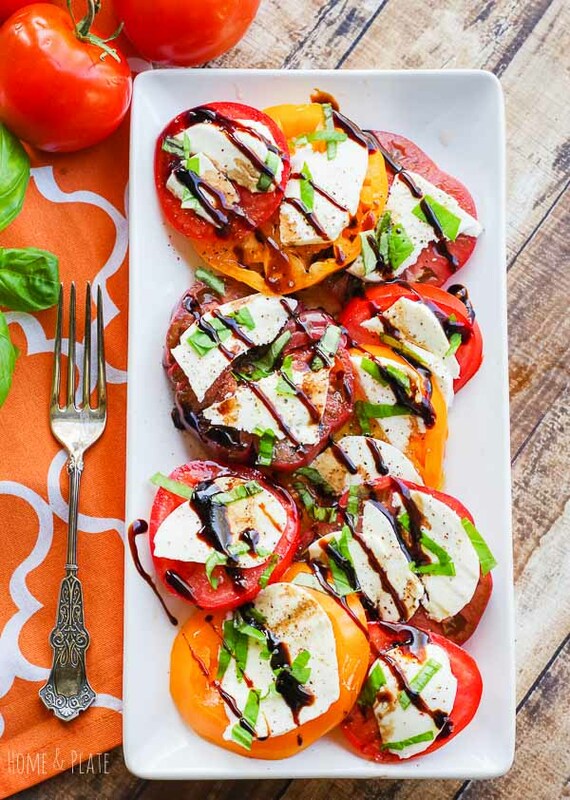 PIN IT TO YOUR SALAD OR SUMMER BOARD TO SAVE FOR LATER! Fill a large salad bowl with arugula greens. Add in the chunks of watermelon, spiralized cucumber and sprinkle plenty of feta on top. Crack fresh ground pepper on top and drizzle the balsamic glaze on top to your liking. I must get this salad in asap! I love the way you used watermelon! It’s the perfect companion to the arugula and feta. Definitely try this soon. Love the flavor combo here. Arugula is one of my fave greens. What a perfect summer salad! Me too…and it’s the perfect green in this salad. Thanks Jenn. This looks perfect for summer! I love it. Thanks Brandi…gotta enjoy the watermelon this summer before fall hits. Lovely! Refreshing and delicious! Thanks for sharing.